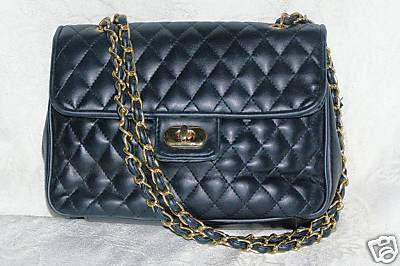 Chanel's 2.5 bags made the quilted look with a single or double gold chain a major accessory statement. 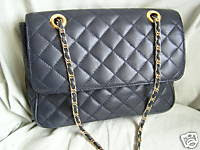 There are other makers of such bags --- as for me, if I'm going to buy a version that is not made by Chanel, I lean towards vintage ones. 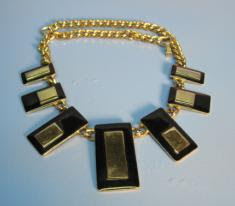 Here's one that I just *won* from an eBay auction --- made by Bally. 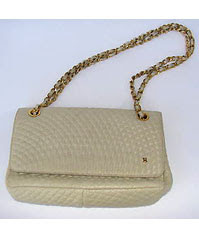 I love this bag because there's a "B" for Bally in the lower right hand area of the flap, the chain can be used as single or double, and I *love* the off-white color. 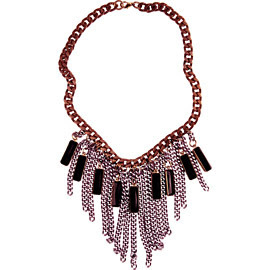 I actually can't wait to wear with a more casual outfit, something a little rougher. 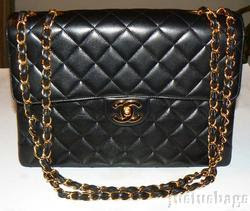 There are some current auctions for similar bags going on right now on eBay...check them out! Definitely very beautiful, but I think my little eBay find holds up pretty well in comparison! 1. All people can lead free and dignified lives. 2. Every person who wants to help another has the ability to do so. 3. No opportunities for action or collaboration are missed or wasted. There is no more noble cause than that. I came across Mrs. O. over the weekend and absolutely love the following that the incoming First Lady has drummed up over the last two years. 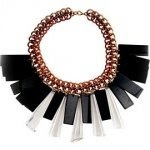 You can follow Michelle's style on this new site. Our new First Lady is 5'11", with a broad frame that the healthy and robust can appreciate. She carries herself with such ease and confidence that it intrigues people. I think her clothing selection throughout the campaign has been on mark over and over again. As most media outlets have reported, she moves between high-end and mainstream seamlessly, at once celebrating Thakoon and J.Crew. Comparisons between the last Mrs. O and Michelle are, not suprisingly cropping up. It will be an interesting four years of style in the White House! 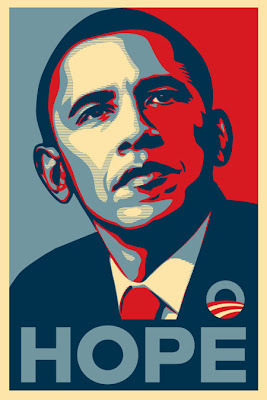 Obama has done it!!! It is a new world --- and it starts today!